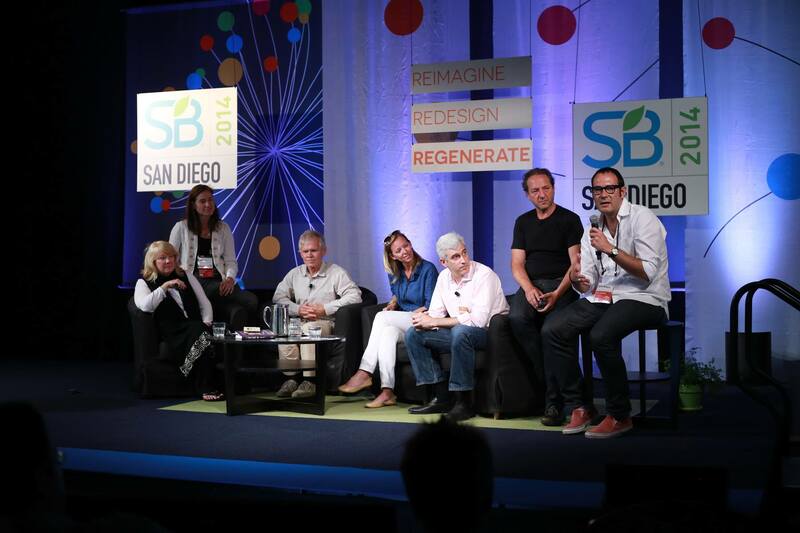 The Sustainable Brands conference concluded earlier this month in San Diego with many exciting ideas exchanged aimed at advancing the global sustainability movement. The theme for this year’s conference was Reimagine, Redesign & Regenerate with a focus on driving more efficient use of resources, shared value in supply chains and the creation of more purposeful products, services and business models. For the marketeers in this space, there were many insightful discussions on how to encourage customers and employees to re-think the true sources of value as participation in sustainability moves from obligation to desire. Many emerging business models and best practices were illustrated which have been redesigned from the ground up to thrive in a new sharing and regenerative economy. Their common goal is to develop solutions which benefit people, profit and planet as well as deliver net positive value to society. All participants in the conference were also charged with asking the question “What if…?” and filling in their own potential future scenarios. We asked, “What if we could work together to create a future of abundance and environmental sustainability for everyone on the planet?”. Conscious Connection spent the first day on location at the beautiful Paradise Point Resort participating in several Brand Positioning & Communications workshops. The first such workshop was titled Market Insights from Top Researchers on Customer Attitudes and Behavior. Next up was a presentation from global innovation and design consultancy, Continuum. Their talk centered on designing for Gen Y who has less than previous generations, but actually expects more. Gen Y is enabled by technology and prefer experiences overTo connect with Gen Y, invest in the long-term, support their belief in the power of the group and help them to make a difference.products to showcase their social status. They seek quality and authenticity as well as products with a story behind them. Technology has enabled them to know where things come from, therefore honesty and transparency are key when connecting with Gen Y. For companies looking to build a relationship with Gen Y, Continuum advises to invest in the long-term, support their belief in the power of the group and help them to make a difference. Next we heard from BBMG, a marketing innovation firm from Brooklyn that specializes in creating disruptive business solutions and delightful brand experiences. They presented their recent Aspirational Consumer Index which confirms the rise of more than 2 billion consumers globally who are uniting style, social status and sustainability values to redefine consumption. These “aspirational consumers” equate to more than one-third of the global market and are defined by their love of shopping (78%), desire for responsible consumption (92%) and their trust in brands to act in the best interest of society (58%). The second day of the conference kicked off with a keynote by Andrew Winston, a globally recognized business strategist and author of the new book The Big Pivot. Andrew set the tone for the event by showing how we live in a fundamentally changed world: Extreme weather, driven by climate change, is shattering records all over the planet. Our natural resources are in greater demand than ever before as a billion more people enter the global middle class, wanting more of everything while radical transparency is opening up company operations and supply chains to public scrutiny. This is not some futuristic scenario or model to debate, but today’s reality. We have passed an economic tipping point and the way companies currently operate will not allow them to keep up with the current future rate of change. In order to win in this bold new world, Andrew advises companies and leaders to make the Big Pivot: a profound change in strategy, tactics and philosophy that will make organizations more resilient and flexible in a volatile world. One of our biggest challenges is to fight the short-term thinking that is so prevalent in corporate and consumer culture. In addition to developing core resilience adaptation, organizations must also begin setting science-based goals aimed at radically challenging the status quo. One of the biggest challenges he identified however, is to fight the short-term thinking that is so prevalent in corporate and consumer culture. In one example, Unilever has made a huge step in the fight against short-term thinking by focusing on sustainable growth and positive social impact as opposed to quarterly profits. This type of shift requires a fundamental systems change in which a company’s success is measured by their long term impact on people, profit and planet. Conscious Connection had the unique opportunity to speak with several companies leading the way in forging a new regenerative economy. For example, Sprint has a dedicated sustainability team who has worked to achieve the title of the most eco-friendly wireless carrier with their line of eco-phones and cell phone recycling program. A start-up company called THRIVE Farmers is transforming the coffee supply chain through an innovative revenue sharing model that minimizes the layers in the chain, and maximizes the income to the farmer. The sustainable paper company, Domtar, is making huge environmental strides with their EarthChoice Program which encompasses innovative solutions, advisory services, and the highest-quality products designed to increase responsibility throughout the fiber lifecycle. Nestle’s Cocoa Plan is addressing the root cause of the global cocoa shortage by developing outreach programs which ensure fair wages for farmers and teaches best practices. And an innovative super food company called Kuli Kuli is working to improve nutrition and livelihood in West Africa with their Moringa bars. While much progress has been made over the last eight years since this conference began, it was widely agreed that we are still just in the beginning of the shift to a long-term sustainable future. As the conference wound down we heard from Pamela Wilhelms who discussed the need for a new spiritual narrative to experience true sustainable transformation. “Change will ultimately happen by individuals asking the question, ‘How can I be of service to the world?’ and setting an intention to use their gifts for the betterment of society and the planet.” As a magazine founded on the premise that an individual shift in consciousness is the key catalyst for creating a flourishing future, we couldn’t agree more. Be sure to stay tuned to Conscious Connection as we continue to bring you news, updates and ongoing expert editorial contribution from all of our incredible conversations at this year’s Sustainable Brands San Diego!